pickle palooza permaculture guild | eating with S.O.L.E. 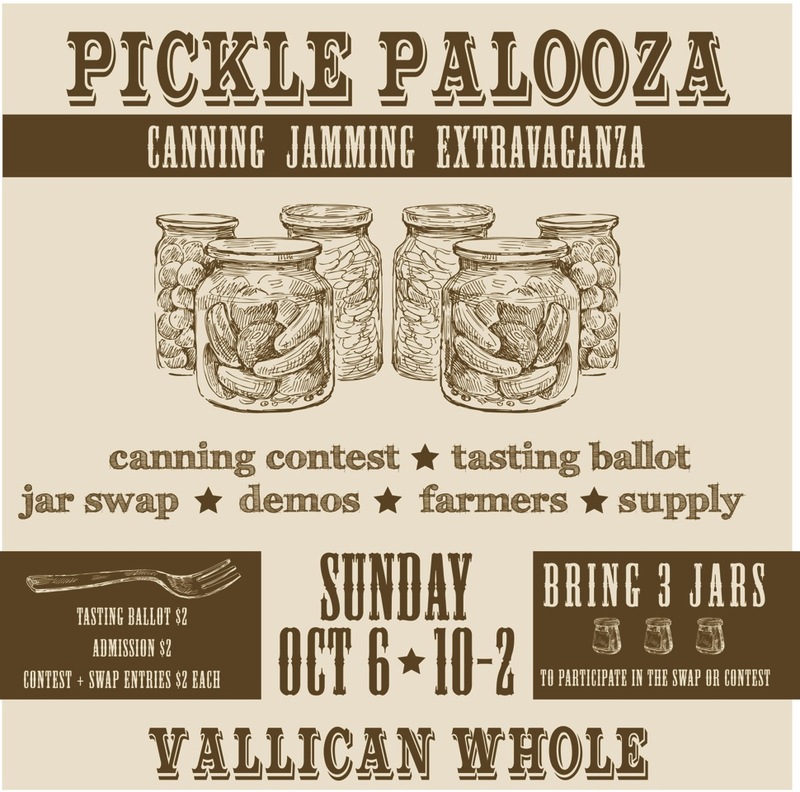 Our valleys 2nd annual Canning & Preserving Festival is finally here! Tomorrow Sunday October 6th 10-2 @ Vallican Whole, Slocan BC. There will be canning contests for best preserves in 4 categories, a lively jar swap, experts demoing a number of preserving techniques, local farmers and producers selling their bounty. There will be food for the whole family and canning crafts for the kids! If your in the Kootenays and your keen to learn, stock up, or compete come on down and join us for this Canning Jamming Extravaganza! For more info go here.